Public service announcement: Jonas Brothers are officially back together! The sibling trio of Nick Jonas, 26, Joe Jonas, 29, and Kevin Jonas, 31, took to social media to release Sucker, their first track together in nearly six years, alongside an incredible Alice In Wonderland themed music video. 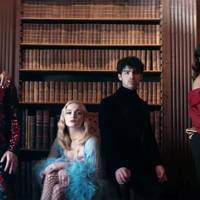 The music video is a tribute to the Jonas Brothers' leading ladies, Priyanka Chopra, GLAMOUR cover star, Sophie Turner, and Danielle Jonas, and features extravagant scenes of the three couples hanging out together on a huge country estate, as you do. 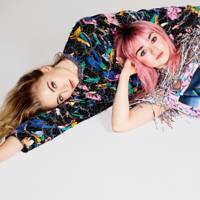 The song, about being head-over-heels in love, sees the group play a lavish game of fancy dress in a castle, enjoying a crazy tea party, and running around mazes in the garden, all with some pretty OTT ballgowns thrown in the mix. The PDA didn't just stop in the music video though, as the brothers took to Twitter to declare their love for their other halves. 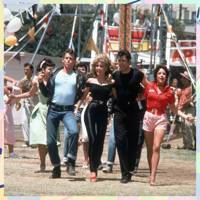 "We really had the best time shooting this video in England with our family. Hope you guys love it. 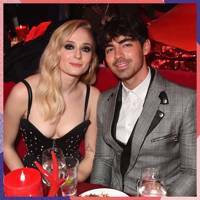 Feels good to be back," Joe Jonas tweeted, who announced his engagement to Sophie Turner in 2017. Meanwhile Joe, who married Priyanka Chopra in a series of lavish celebrations back in December, tweeted: "My wife is soooooo beautiful in this video!!! How lucky am!?!!" My wife is soooooo beautiful in this video!!! How lucky am I?!! Their label, Republic Records, also shared that the group will be appearing on The Late Late Show with James Corden next week to promote their new single. In the meantime, you'll find us waiting for the Jonas sisters to form a girl group, because that is clearly what everyone needs in their lives right now.